As British Vogue celebrates its centenary, and we mark the occasion with our upcoming book, Vogue: Voice of a Century, the magazine has also completed a historic collaboration with HRH Duchess of Cambridge. 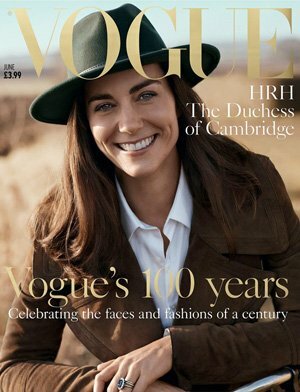 The centenary issue of British Vogue was the first time that the Duchess had consented to a magazine photo shoot, and in addition to gracing the cover, she also appears in a 10-page editorial. This project was conceived in collaboration with the National Portrait Gallery, who have added the photographs, shot by British photographer Josh Olins, to their archive of Royal portraiture. Josh Olins was chosen in part by the Duchess, who suggested that the shoot should be given to a British photographer for whom it would be a new opportunity. Olins told British Vogue: "It's a privilege to have been chosen to photograph the Duchess of Cambridge for the centenary issue of British Vogue." Olins is also one of one hundred contributors taking part in the new Genesis book, Vogue: Voice of a Century, which commemorates their hundredth anniversary. He has said Vogue represents "taste, style, aspiration, inspiration", all of which Voice of a Century will celebrate within its pages. To find out more about the collaboration of Vogue with the National Portrait Gallery and the Duchess of Cambridge, click here. 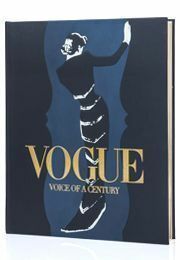 To find out more about the Genesis Vogue: Voice of a Century book, and to preorder, click here.